Hippity Hop, it's that time of year again! Starting to think about how to spread the joy on Easter? Fill up your Easter baskets with Gift Cards and enjoy your egg-stra savings! You might even say this deal is egg-celent! The more you spend, the more you earn! Stack your deals for even more Cash Back:. Say you or your family shop at Gap. By a Gap gift card at MyGiftCardPlus first and get 7.5% Cash Back on your purchase. Make that a $50 gift card and you get a 100 SB Bonus, making your cash back return 9.4%! That's on top of your credit card's cash back rewards, on top of whatever great sale you find at Gap and - wait for it, here's where things get really saver savvy - use that gift card to shop on Gap.com through Swagbucks and you could get ANOTHER 8% Cash Back on any purchase you make (besides more gift cards). If you do this right, you could be getting $10 back on a $50 purchase you were already going to make! 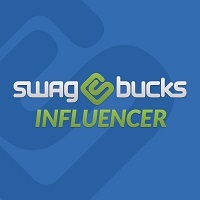 Make those Easter Baskets extra special this year with MyGiftCardsPlus, powered by Swagbucks. *The SB Bonus Offers apply to one purchase per gift card listed above (Lowe’s, Gap, Baby Gap, eBay, Game Stop, The Home Depot, Build-A-Bear, and Toys “R” Us). This offer expires at 11:59pm PST on March 27th. Your SB will credit when your electronic gift card is delivered. You must spend at least $50 to receive a SB Bonus.